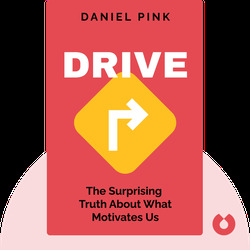 In Drive, Daniel Pink describes the characteristics of extrinsic and intrinsic motivation. 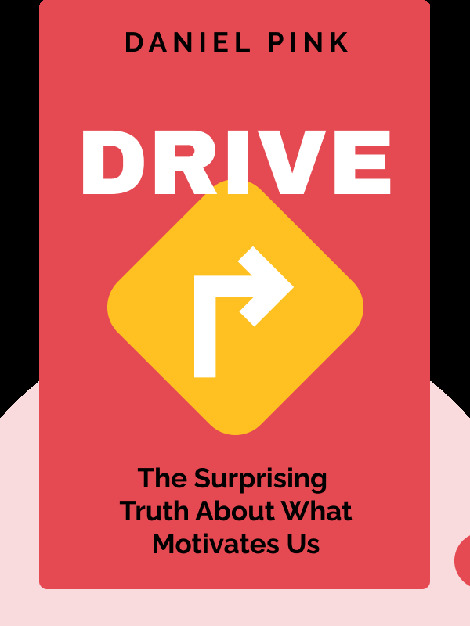 He reveals that many companies rely on extrinsic motivation, even though this is often counterproductive. The book explains clearly how we can best motivate ourselves and others by understanding intrinsic motivation. Daniel Pink studied linguistics and jurisprudence. He rose to prominence with his book A Whole New Mind. Along with Drive, other books of his have ranked in the New York Times Bestseller list, including To Sell is Human, The Adventures of Johnny Bunko and Free Agent Nation. Between 1995 and 1997, Pink was chief speechwriter for US Vice President Al Gore.